When bells just won't do. 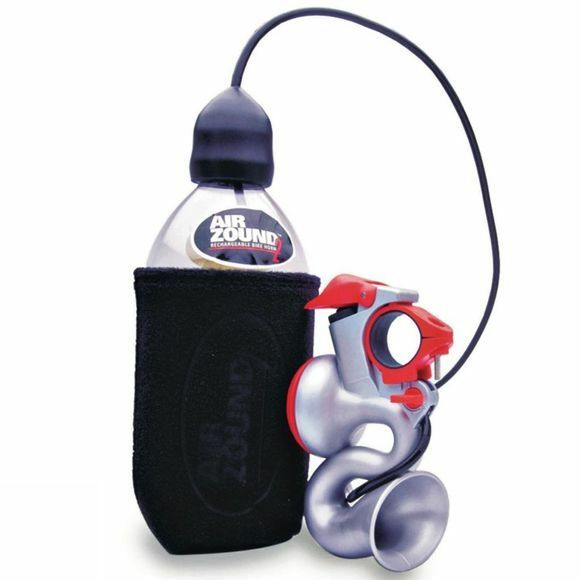 Needing something louder to get people's attention then make yourself heard with the Air Zound. This rechargeable horn emits 120 decibel blasts that will let even the most attentive driver know that you're there. The horn is handlebar mounted and the air reservoir is attached to your water bottle cage and can be easily recharged using either a bike pump or compressor.